Universal Audio has partnered with original Euphonix founders Scott and Rob Silfvast to design a revolutionary series of DAW “expansion & amp; enhancement” products under the Desktop Console System (DCS) family brand. 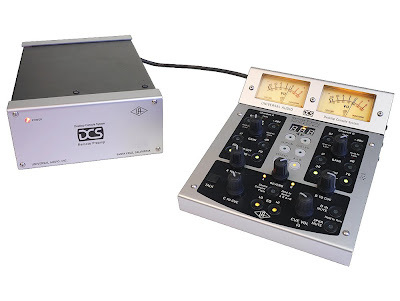 DCS combines UA’s pedigree for sonic excellence with the usability/features of professional consoles in a new type of convenient “micro-console” desktop form factor, ideal for today’s project/producer studios. The first two products in the DCS series (the Remote Pre & amp; Monitor Master) combine a base station with a DCS-Link™ connected remote that puts every control within direct proximity to the user in a convenient remote format. The DCS Remote Preamp combines two console-grade mic-pres, specialized monitoring capabilities for artist & engineer, and easy remote control/DAW integration making an ideal upgrade to the basic features/sonics found in most audio interfaces. With 100% digital control of analog, the Remote Preamp offers fully remote-controllable, highly detailed, uncolored recording based on its advanced transimpedance design. The two channels of the DCS Remote Preamp can be used dual mono or can be joined for stepped, matched-stereo gain structuring. Plus a Mid/Side encoder is included, allowing for direct recording of the MS-Stereo result. The Remote Pre also features a high-quality headphone amp with “monitoring only” effects such as user-tailored reverb and EQ, making it easy to quickly create an artist monitor mix without having to deal with complex configuration or latency issues inside the DAW. Best of all, the remote control can be placed anywhere from desktop to recording room, giving the artist flexibility unlike any other device in its class. Position the preamp as close to the source as desired, or remotely control your own recording experience away from the computer as you keep the remote close at hand. Lastly, the DCS Remote Preamp offers high quality backlit VU metering for observing Preamp Output or DAW/Cue levels. After a long wait, Asus has finally unleashed its new Eeekeyboard for PC. This is a fully functional PC keyboard that looks like any standard PC keyboard except that it has a svelte and stylish keyboard concealed within it. 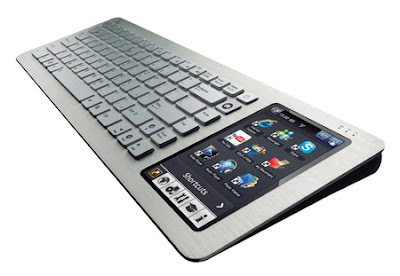 The Asus Eeekeyboard can function well with any HDTV, monitor or projector. Users can enjoy wireless computing platform through the Eeekeyboard PC because of the Ultra-wideband (UWB) wireless display connectivity that allows you to stream HD 720p videos up to a 5-meter range with a maximum of 10-meter range. Then, there’s also the 5-inch multitouch panel with interactive and intuitive means of directing on-screen cursor to launch programs, send instant messages and control the media player. This might be not that popular with kids since it’s not exactly an iPod portable solar speaker. Instead, it uses radio signals to send in waves and music. And if you love creating something out of nothing, then this is the perfect device for you. This won’t also require you to change batteries constantly. 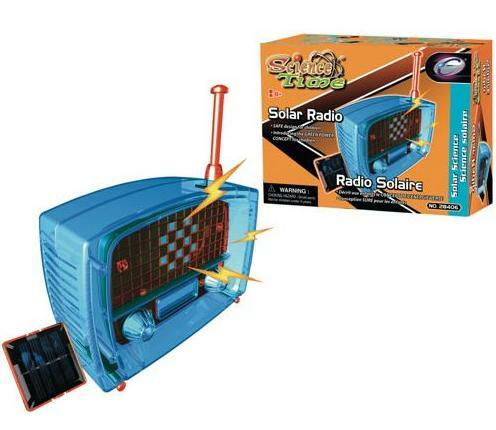 This kit includes 16 different pieces that you will have to put together to get your favorite tunes on your solar-powered FM radio. You will also get a couple of AA batteries, but may I just remind you that you can run this device on batteries or the solar panel. Although this doesn’t look that much modern, this solar-powered radio kit is great by just putting it together. The Solar FM Radio Kit will sell for £14.95 or about $22. In 2007, Thanko released a bracelet battery that might not be that appealing for you. But this year, the company is again coming out with its wearable bracelet battery that looks identical to the previous model, but is now sporting the kind of style that will be perfect for a Batman costume. This all-black bracelet comes in a thick wrist wrap that has a cable extension to connect to your mobile devices and charge them. New to this model is an adapter cable that will allow you to even pair this up with a greater number of mobile devices. It will also come with a 1,500mAh lithium-ion battery and an on/off switch. 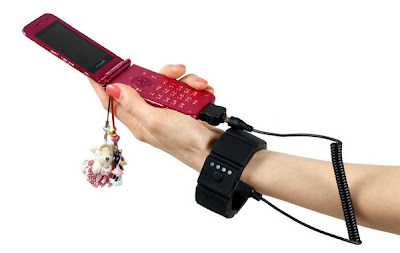 You can get this Thanko bracelet battery for ¥3,980 or about $40. For years, it has been observed that seismic waves travelling in the east-west part of the earth are faster than those in the other parts. And scientists may know the reason now. 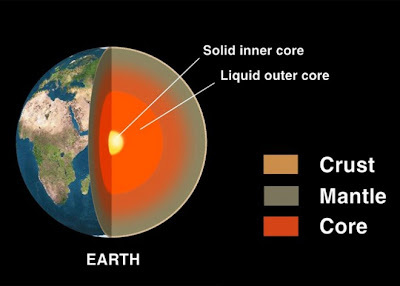 According to them, the iron alloys located at the center of the earth appeared to have crystallized in a way that is easier to pass on the north-south axis than on the east-west. The study was led by Maurizio Mattesini, a geologist at the Universidad Complutense de Madrid. It was published on the journal Proceedings of the National Academy of Sciences. Do you intend to wear on your sleeves your actual love for the Iron Man 2 movie that was recently shown in theaters? If you do, then here’s another chance for you to buy one of the most incredibly designed USB flash drives since the Steampunk USB. 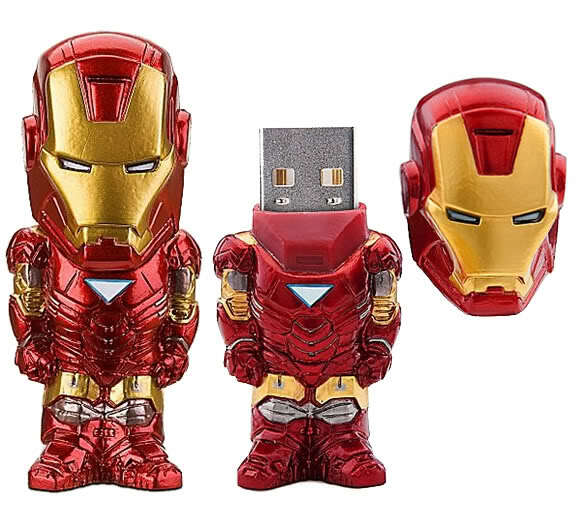 The Iron Man 2 ISB flash drive is a fully sculpted 3D drive that comes in different sizes and capacity. They are available in 4GB, 8GB and 16GB capacities. The only thing I am waiting for is to know whether these USB flash drives will light up once you plugged them into your USB port. You can get the 4GB version for about $34.99, the 8GB for $44.99 and the 16GB for about $59.99. Remember Tony Starks in Iron Man 2 when he was distracted by a certain decorative art object in Pepper Potts’ desk? If you like that same object, well here is your chance to get one. This sturdy, unique and high quality kinetic energy sculpture seems to defy gravity and the laws of physics when it just, in fact, weirdly extraordinary beauty that you can place on top of your mantel at home or on your office desk. automation controllerDIN rail mountable package. The controller can be used in a stand-alone configuration or it can be easily networked via its serial and LAN connections. The built-in web server makes Internet or intranet access a snap. For larger applications the Model 5300 supports up to 1024 I/O points and up to 16 axes of motion control. The 5300 features a proven mufti-tasking real-time operating system with plenty of non-volatile memory. Programming the 5300 is simple with CTC’s intuitive next-generation Quicksilver™ state language or for advanced applications use C/ C++. You can even combine both languages in a single application. To learn more about the 5300 explore the links above or contact CTC for a demonstration. I am seeking cost effective solutions for replacing my Rosemount System 3 control system. I have decided that using remote I/O multiplexers for the HART smart analog and 120VAC Discrete I/O provides several significant advantages. "Home run" twisted pair cables from local area junction boxes would be replaced with an open protocol, high speed industrial Ethernet like Profinet, or Modbus TCP/IP to a server/HMI. While researching this over the last 6 months, I have discovered several multiplexer/controller solutions that are are rated for Class I, Group II environments. The current list that I believe are strong contenders include Delta V, MTL MOST (Now GE Fanuc), Siemens S7 & PCS7 and Yokogawa Stardom FCN. I invite other suggestions. There are numerous features that I would like to see in the "open" system such as OPC or OPC UA, redundant hardware, easy to configure and troubleshoot, an inexpensive historian attached to the company LAN and minimum Licensing fees. I am inviting both pro and con comments, either directly and via this forum, on selection of a new cost effective "DCS" that would be a true distributed control system. I feel this open discussion could also provide help to others with older control systems. My I/O count is over 1000 points. A spreadsheet comparing features of potential candidates would be of strong interest.